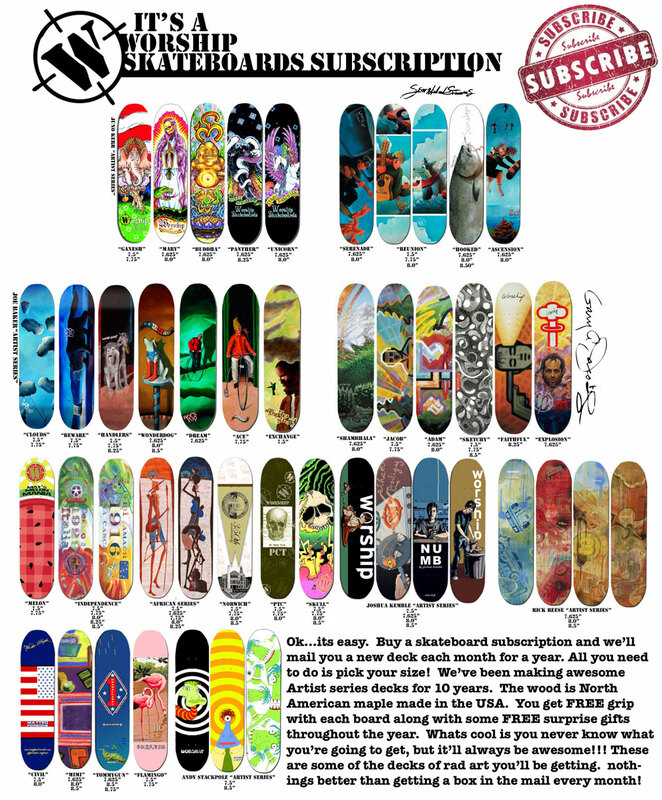 So if you love art...and you love our decks which made in the united states. Get crazy and get a subscription. A new board will show up at your address every month for year. It's a great gift and also a great way to collect some rare art. You'll notice that on our site some decks go for up to $300 each when they become rare. So why not get in at $50 a deck which includes the shipping and save some moneyon some fantastic art. This is also perfect for any skater as the supreme Christmas or birthday gift. Don't miss out. only $598.00 and shipping is FREE on every deck!! !